We are the Best in the Business! 7 Days A Week, 365 Days A Year! Our Crew is Dependable, Reliable & Punctual! We're #1 in Heavy Duty Recoveries! We’re #1 in Heavy Duty Recoveries! Double T Towing & Recovery is quick to arrive on the scene of an accident and is there if your rig needs to be put upright and cleared away from the road fast and efficiently. We are your number 1 provider for heavy duty recoveries. Double T’s specialized fleet of wreckers cover everything from light, medium, and heavy duty. 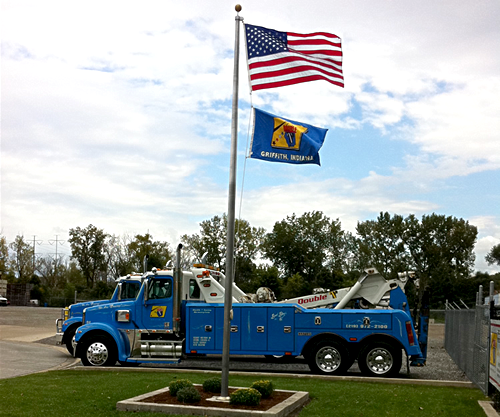 Double T Towing specializes in the heavy duty recovery field. Our traditional and specialty equipment allow us to perform any recovery on the highway without causing any additional damage to your unit while its being recovered. Our tow trucks and equipment can shift loads that the road has put out of place in your trailer. We can deck and un-deck trucks and trailers. Our certified drivers can travel as far as you need your truck to go. Copyright © Double T Towing. All Rights Reserved.